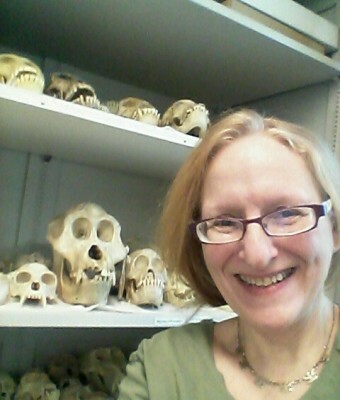 Systematics is at the core of my research, which spans several areas of biological anthropology, including human evolution, human and non-human skeletal biology, the history of the scientific race concept, and hominoid taxonomy. Although I continue my long standing interest in interpopulational variability among extant hominoids and the implications of this for understanding Miocene hominoid evolution, recent analyses have focused increasingly on biological conceptions of human variability and distinctiveness (relative to other apes) in Western science from the 16th-19th centuries. B. O’Flaherty and J. Shapiro (2004). Apes, essences and races: What naturalists believed about human variation, 1700-1900. In D. Colander, R.E. Prasch and F.A. Sheth (eds.). Racism, Liberalism, and Economics, pp. 21-55. Michigan: University of Michigan Press. R.L. Holloway, M.S. Yuan, D.C. Broadfield, D. De Gusta, G. Richards, A. Silver, J.Shapiro and T.D. White (2002). The missing Omo L338y-6 occipital -marginal sinus drainage pattern: Ground sectioning, CT scanning, and the original fossil fail to show it. The Anatomical Record 266:249-257.